On 27 January, 12 trans women were arrested in Aceh province in Indonesia and made to undergo a “re-education programme”. They were subjected to beatings, had their hair forcibly cut, were stripped and forced to wear men′s clothes, and otherwise humiliated. The Philippines’ new president, Rodrigo Duterte, announced in Beijing on 21 October: “I announce my separation from the United States, both in military but economics also”. “America has lost it... I realigned myself in your [China’s] ideological flow and maybe I will also go to Russia to talk to Putin and tell him that there are three of us against the world: China, Philippines and Russia”. Read more about “Anti-imperialist”? Or just right-wing? Wealthy Japan is suffering an wave of shoplifting by elderly people. They do it so in order to get themselves sent to jail so that they can get food and shelter. Over the last 20-odd years, the number of elderly inmates in jail for repeating the same offence six times has risen 460 per cent. Read more about Welfare or jail? Capitalism has created life-enhancing possibilities. It has even realised some of them. My older daughter has epilepsy. In pre-capitalist times, if she’d had medication at all, it would have had no, or harmful, effects, and the seizures would probably have become more severe until they disabled and killed her. Today, she has been able to end the seizures with just a few pills, without side-effects. Support the solidarity appeal by trade unions in Nepal! 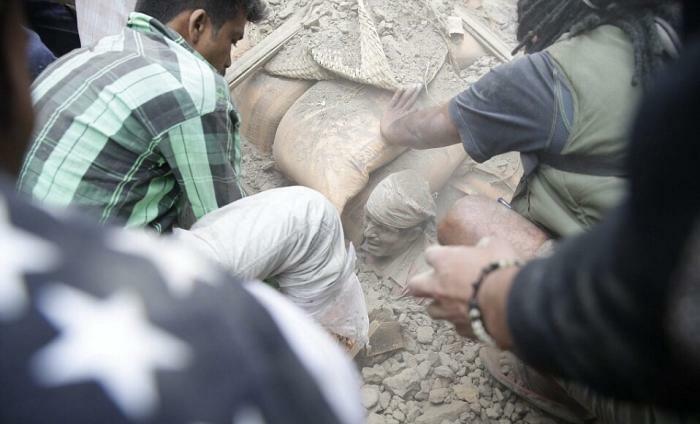 The GEFONT trade union federation in Nepal has issued an appeal for solidarity. Please donate and spread the word! Unions in Nepal are appealing for solidarity support following Saturday’s devastating earthquake in the country, which has claimed the lives of nearly 5,500 people and injured thousands more. Read more about Support the solidarity appeal by trade unions in Nepal! Shaheen Chughtai, an official with the charity Oxfam, has written that Nepal’s “ability to cope with a major disaster”, like the 25 April earthquake, is “crippled by the lack of the kind of economic and social infrastructure that people in richer nations take for granted”. One of the deadliest storms since records began hit the Philippines on 8 November. Over 10,000 people have died. Extracts from a declaration by the Party of the Labouring Masses (PLM, a Filipino socialist party), on 10 November. The people are still reeling from the impact of possibly the biggest typhoon to strike the country. Death toll numbers are rising rapidly. There is huge devastation. Firstly, we have to support and take whatever measures are necessary to protect the people. Class struggle in Nepal is in a period of “democratic reaction”. The masses feel betrayed. After the 2006 revolution, there has been no change in land and production relations. The revolutionary fervour has receded, and the revolution has been held back both by the opportunist leadership of the Maoists and the reactionary forces.